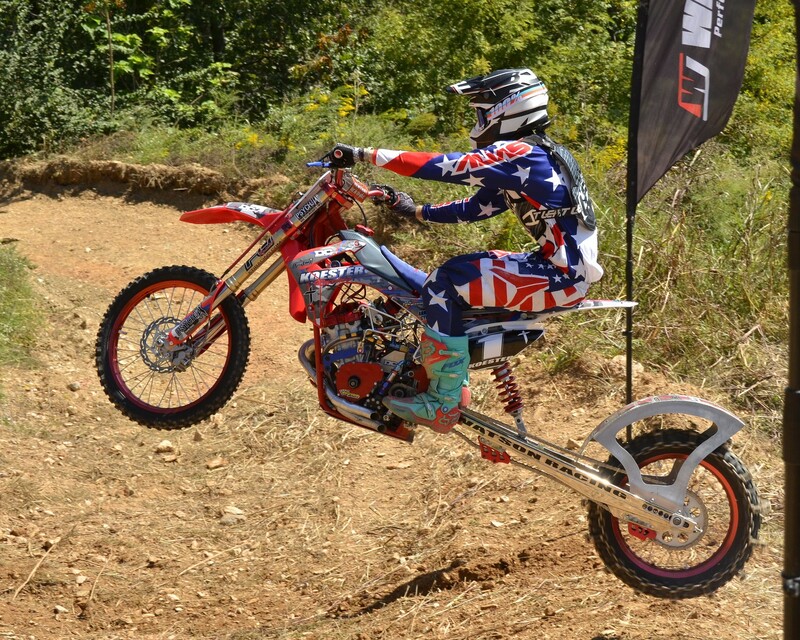 AMA Pro Hillclimb racing brings about an intense combination of Nitromethane-burning horsepower and precise riding skill. We got a chance to speak with the Koesters, a father and son duo that build and race these unique machines. Nature is full of examples of extreme adaptation, from microscopic organisms that thrive in the boiling-hot water that surrounds geothermal vents in the lightless, miles-deep abyss at the bottom of the sea, to the Venus Flytrap, the odd carnivorous plant native not to the deep jungle of the Amazon or a little shop of horrors, but the wetlands of North Carolina. The same adaptations that make these creatures so well-suited for their strange environments often make them appear unsettling, or even terrifying, to our eyes accustomed to the ‘normal’ world. 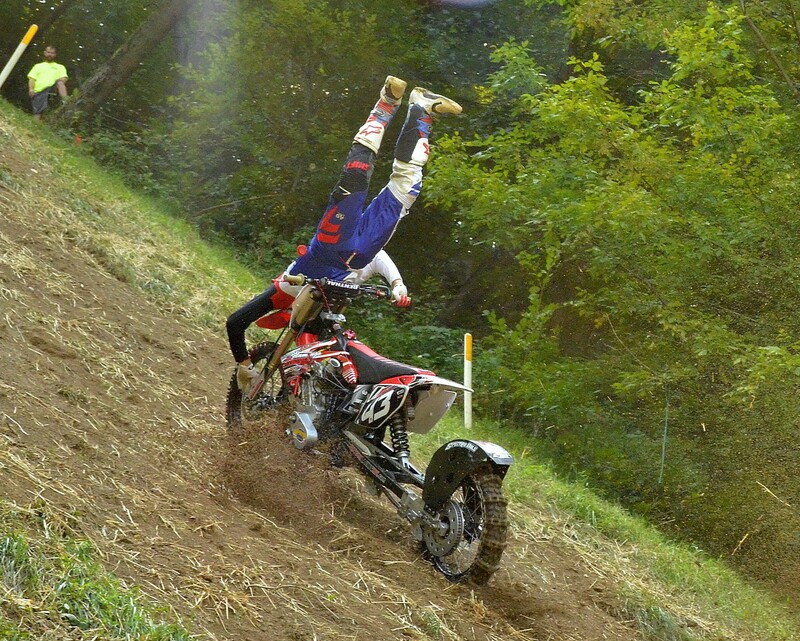 That fear is completely natural, so you need not be ashamed of having that reaction the first time you see a nitro hillclimb bike. While perfectly adapted to its environment, it simply looks wrong, and makes the kind of sound the primal core of our brains associates with imminent, serious danger. 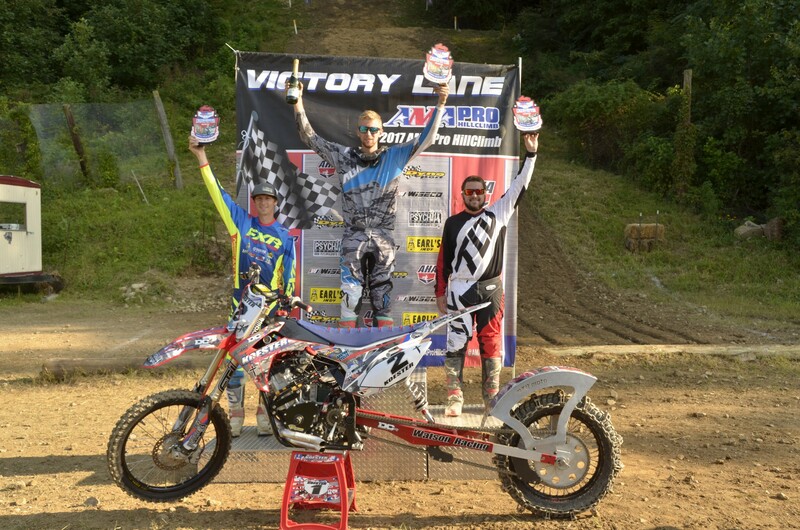 John Koester (center) scored an AMA Pro Hillclimb first by winning all four classes at Freemansburg, Pennsylvania during round 4 of the 2017 tour. His first run in Unlimited, Xtreme, and 450 Pro held up for the win, and wins in the second heat and finals captured the title in the Verticross exhibition class. It says a lot about John that his experience helping crashed riders and moving wrecked bikes off the hill led to a desire to challenge hills himself, but there’s actually a robust system in place to get new riders into the sport. “In the classes for the amateurs, they even have classes down to 65 and 85 (cc) all the way up through the unlimited bikes, which are street bike motors put into a [hill climb] frame,” Gordon explains. 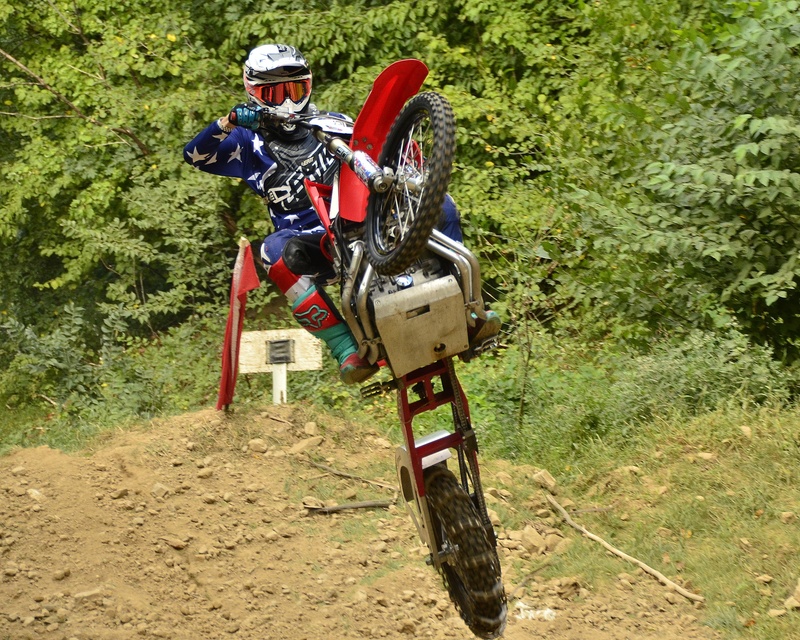 While amateur competitors typically start with factory motocross bikes modified with bolt-on swingarm extensions, the pro classes feature hybrid beasts built from a mix of off-road parts, custom swingarms the size of extension ladders, and inline four cylinder sport bike engines modified to run on exotic fuels. “Our bikes’ motors start out as Honda CBR600s,” Gordon says. “Unlimited bikes start out as CBR900s, and some guys in the unlimited class are racing 1000 or 1100cc because you can go as big as you want, but most are going with 900cc or 1000.” Back in the day, hillclimb competition was dominated by motorcycles running Yamaha power; either the XS650, a twin-cylinder inline air-cooled design that benefited from a long development history in AMA pro dirt track racing, or XS750 air-cooled triples sourced from Yamaha’s street bike line. But just like motorcycle road racing, eventually inline fours came to the forefront. Today, street bike engines like the Koesters’ CBR600RR- and CBR900RR-based mills dominate. The Honda engines run dry, with no coolant, and the transmissions are stripped down internally with just a single gearset for second gear. A stock CBR600RR street bike engine delivers something in the neighborhood of 118 horsepower running on pump gas, with the CBR9XXRR family developing between 111 and 154 horsepower at the crank, depending on model year and displacement. In order to produce enough power and torque to stay competitive in the Xtreme and Unlimited categories, those figures will need to more than double, and with natural aspiration required by the rules, switching to nitromethane is the only way to achieve it. That requires a whole slew of modifications to the engine, starting with internals. 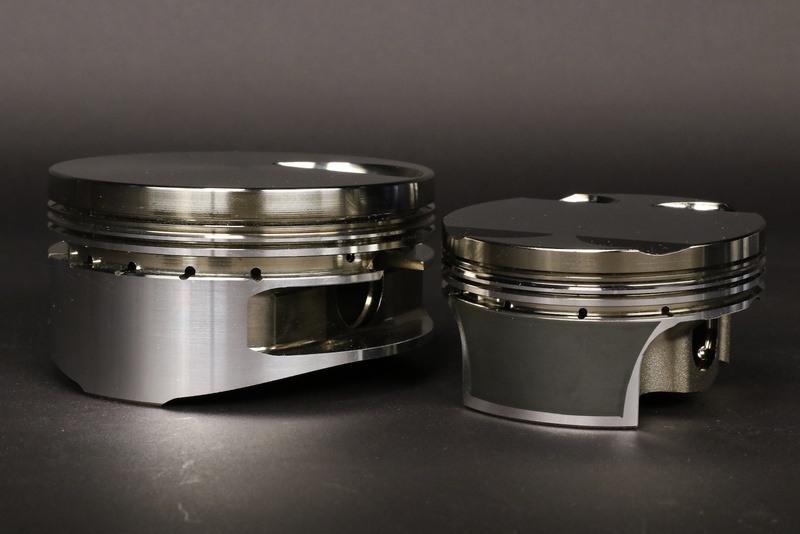 Wiseco CBR600RR (left) and CBR900RR (right) pistons for nitro hillclimb bikes start out life as standard compression forged pistons, but modifications after that are kept under the cloak of the race team. The high energy content of nitromethane, compared to gasoline or methanol, means that some concessions must be made in order to keep the piston alive - not an easy task in a modern sport bike engine, where the factory slugs are as short and light as they can be while still maintaining reliability. Double the power output of the engine with nitro, and suddenly you are in uncharted territory. 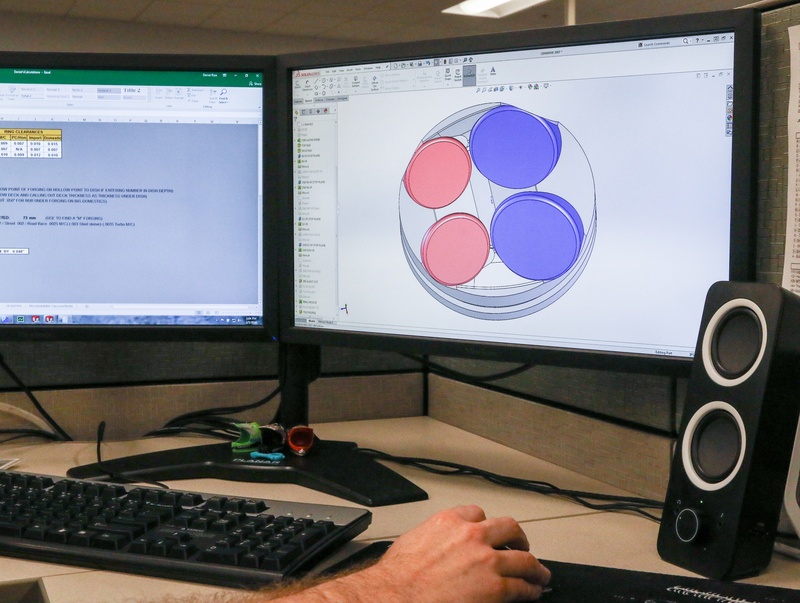 Piston design is ever-evolving with engine design and modification. Small changes in piston design can make big differences in function and power. 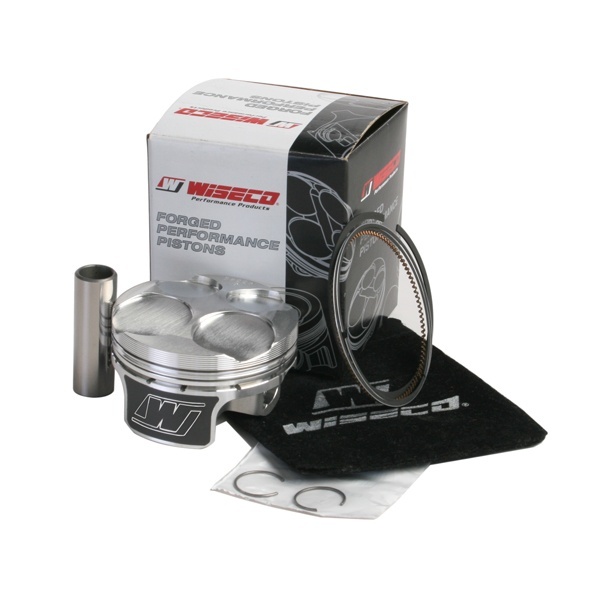 Wiseco pistons are designed and engineered in-house. In days gone by, with aircooled engines that had cylinders cast independently of the crankcase, a spacer between the two could offer better options in terms of overall height for piston designers, but the unitary construction of modern sport bike powerplants makes this a non-option, so there’s scant room from crown to skirt to play with. Fortunately, both modern material science and the inherent properties of nitromethane offer some alternatives. 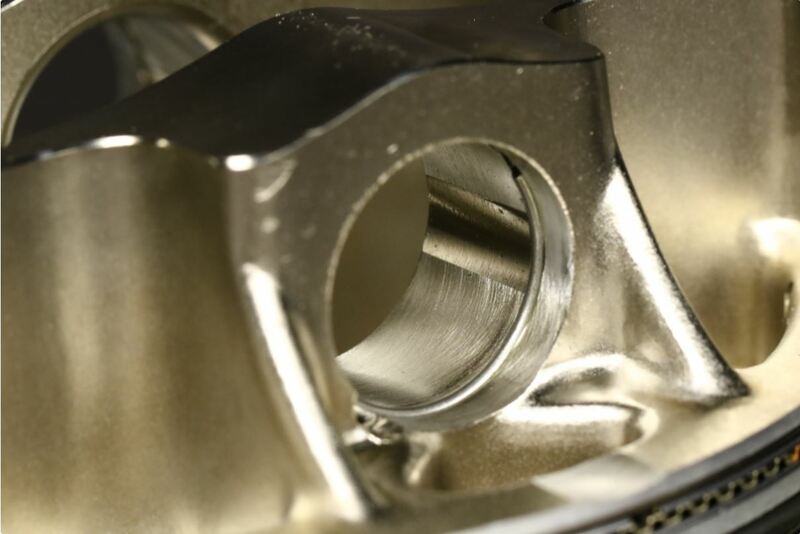 Wiseco ArmorPlating is a propietary coating that helps combat damage caused by detonation or excessive heat, which could come in handy in certain engine builds using exotic fuels. Another inherent property of nitromethane, normally seen as a negative, also plays a role in piston design. Per Sulecki, “Alcohol and nitro fuels do cause ‘wash down’ of the cylinder wall, where the lubricating oil from the lower end is simply not able to stay on the cylinder wall. In many of these extreme engines, the need to control oil on the cylinder wall using a conventional oil ring becomes moot. 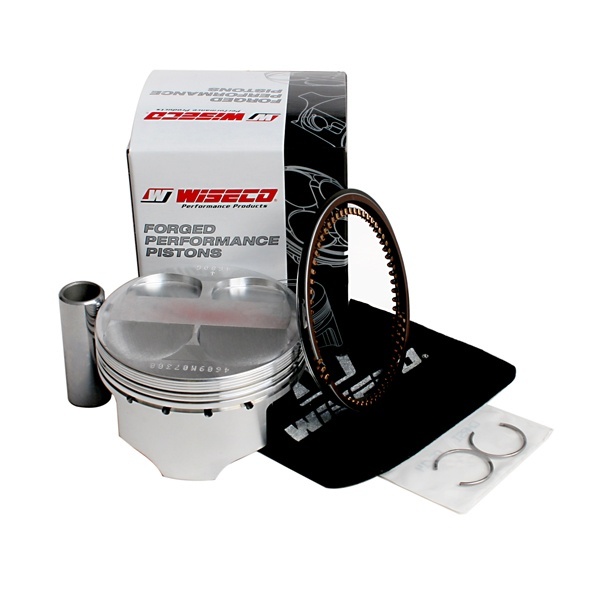 In this very dry cylinder environment, such as engines used for hill climbing or speedway motorcycles, the oil ring can be removed from the piston design.” Because of the short duration of these racing events, between-rounds oil changes to remove the nitro-contaminated lube are the norm. The end result is an engine that’s about as gentle as using a hand grenade as a night light. Per Gordon, “These bikes, they’re about impossible to dyno because of the quick revving of the nitro characteristics, but estimated horsepower on the little bikes is under 300, and the big Unlimited bikes probably a little over 300.” That explosive power, channeled through a swingarm that stretches more than twice the stock length to a tire shod in chain links for traction, needs to be precisely applied to the surface of the hill if the rider wants to make it to the top, let alone set fast time for the class. 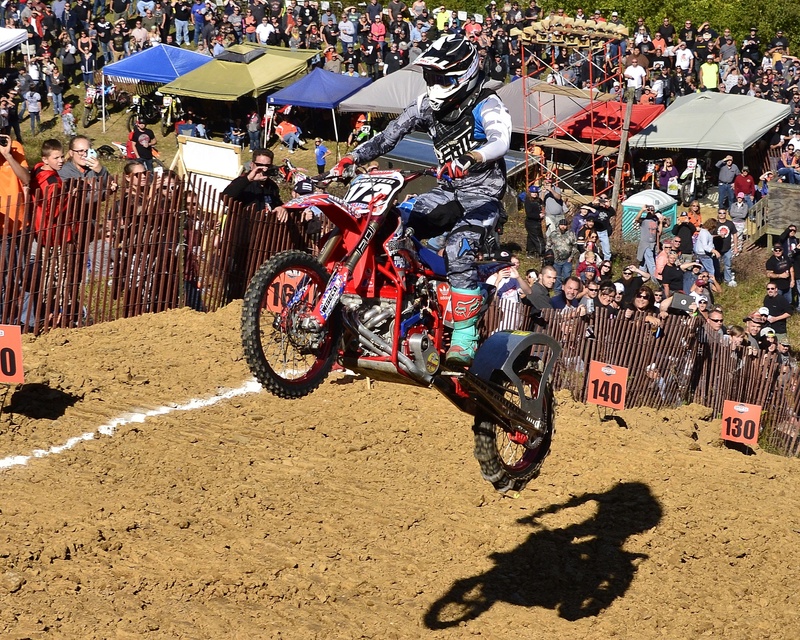 Per the AMA Pro Hillclimb rulebook, Section 2.11 On-Hill Regulations, Paragraph Q, “A rider must be on his machine or in control of it when the bike breaks the top timing light. 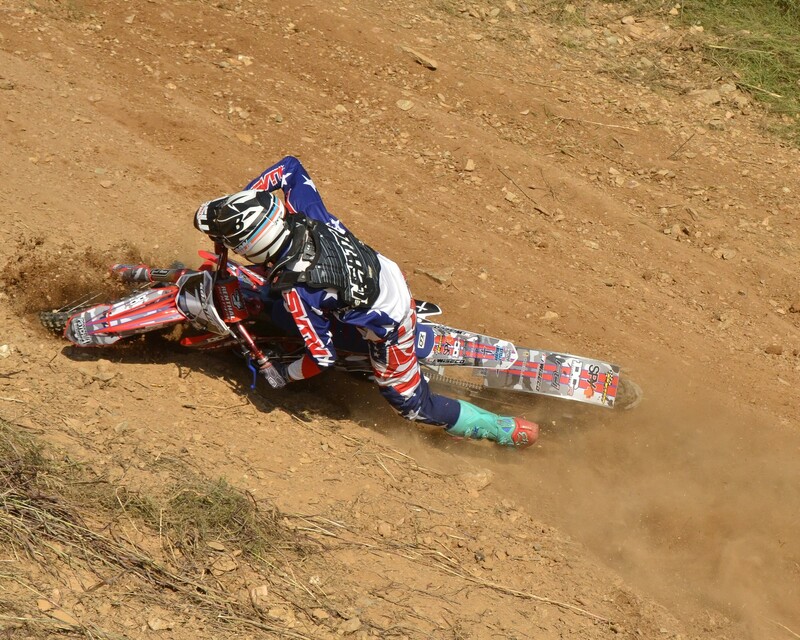 A rider is considered in control of his machine if he has one or both hands on the handlebars.” So technically speaking, Xtreme rider Jockamo Baldina is still “in control” here. 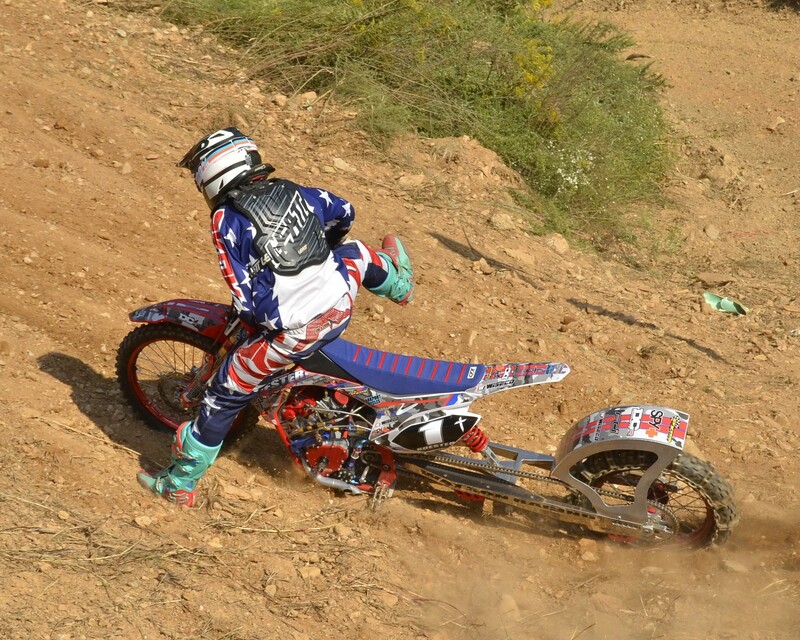 If nobody breaks the beams at the top of the hill, the winner is determined by whoever makes it highest before taking a spill, but typically hillclimbs are decided by elapsed time from bottom to top. A rider who’s satisfied with their first attempt need not make a second or third pass, but the knife-fight-in-a-phone-booth level of competition means that the quickest guy in round one will almost always have to defend that position. 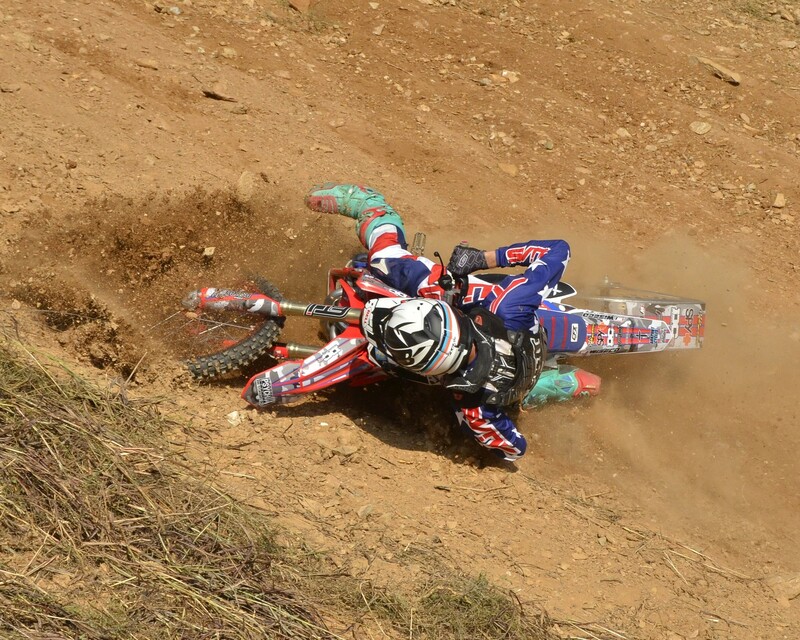 When power and skill come together on the hill, there’s nothing quite like motorcycle hillclimb. Gordon’s enthusiasm for the sport is contagious; “When they’re sitting on the line at idle, then drop the clutch and go, it’s like a Funny Car, just blasting off the line. That explosiveness, that’s what gets you going.” And like watching fuel cars go down the dragstrip, it’s something best experienced in person.